File photo: A Long Island Rail Road train pulls into the station at Bethpage. 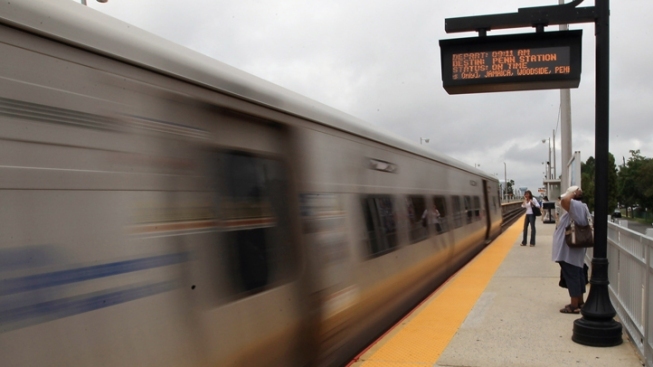 Two former Long Island Rail Road workers have pleaded guilty in a massive disability scam. Prosecutors say 59-year-old James Reiser and 54-year-old Philip Pulsonetti pleaded guilty Tuesday in Manhattan federal court to wrongly claiming disability benefits upon early retirement. Reiser, an ex-conductor from Farmingdale, faces up to 50 years in prison. He also agreed to pay back $226,000 in restitution. Pulsonetti, of Remsenburg, N.Y., faces up to 15 years in prison and must forfeit $176,000 in illegal benefits. The months-long probe targeting the nation's second-largest commuter railroad came to a head in May when dozens of retirees and others were busted. So far, eight defendants have admitted fraud in the scheme. Long Island Rail Road workers who lied about disabilities to collect big pensions with taxpayer money may be getting a "get out of jail free" card: the feds are offering an amnesty deal to hundreds of LIRR retirees believed to have taken part in a massive disability scam. Jonathan Dienst reports. LIRR serves Long Island and has 81 million riders a year, second-highest to the Metro-North system with 82 million.